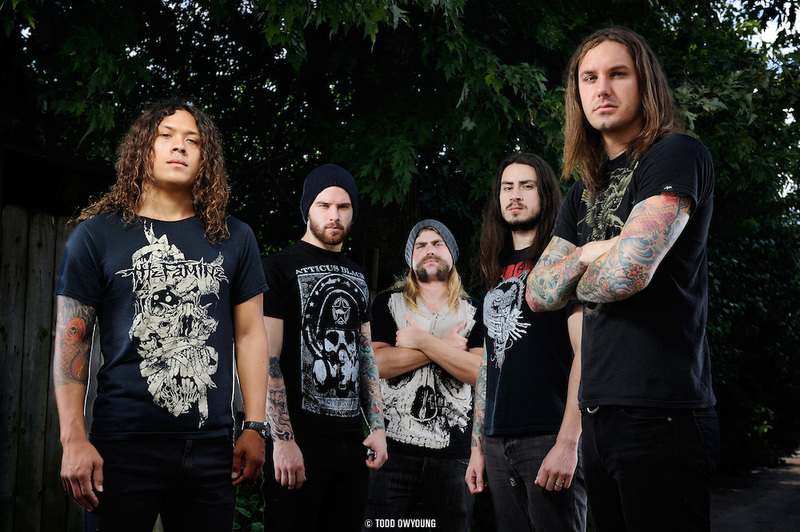 As I Lay Dying – Is the music of AILD dead in the wake of the Tim Lambesis story? Metal music is an acquired taste that many claim to enjoy the taste of… It’s like people who claim to enjoy the taste of neat Scotch, yet really crave raspberry vodka. You get what I’m saying? There are those who like metal and then there are those who are metal. I am not going to try and describe either type; you know full well who is who. What I am after, is to decipher who will actually cares about the music of As I Lay Dying as it lays in a pool of blood due to the dark and despicable actions of one Tim Lambesis. Is the melodic death metal of one of the most influential metal bands ever… dead? Or just slowly dying? One of the biggest and easily most disturbing headlines in metal music history involved the man who built perhaps one of the most widely successful metalcore bands ever. The Tim Lambesis story came as a shock and a punch to the gut all at once. On May 7, 2013 he was arrested in Oceanside, CA for attempting to hire a hitman to kill his wife Megan. The overall effect it had on the (alternative) music world was rivaled only by headlines such as those involving even more famous artists such as Cobain, Mustaine, Blythe, or Radke. In 2010 I personally remember meeting As I Lay Dying at a show in Saskatoon as they supported ‘The Powerless Rise.” Nick Hipa, Phil Sgrosso, Jordan Mancino and Josh Gilbert were warm, friendly, and very welcoming. Lambesis was cold and stale, and when I told him I enjoyed their latest release it was as if I had told him he needs to go pump more iron because he is getting small! A very awkward meeting indeed, and as soon as I heard the chilling news of his attempted hire-for-murder plot, my first thought was “NO! But somehow I am not so surprised…” That cold and emotionless look on his face as we chatted in real life has never left my mind. So, who cares about all that old news covered to death by all the music media sites? My relentless question is, what does this mean for the music of As I Lay Dying? Wife murderer wannabe or not, for 10 years Lambesis fronted a band that made some extremely amazing metal music. The first time I heard As I Lay Dying was when I bought Frail Words Collapse because I liked the cover. The tiny double bass beats, the over-produced guitars and vocals were hard to get used to, but the genuine ability of the band was very apparent. AILD’s second album was full of energy, there was boiling blood in their lyrics and their guitar riffs. The guttural screams of Lambesis were ear shattering and fresh. When As I Lay Dying’s third album Shadows Are Security hit in June 2005, it was more than what the metal world was ready for. “Confined” and “The Darkest Nights” put holes through anything that bands of the time were creating, sans Slipknot, Lamb of God, All That Remains, or Killswitch Engage. Those two songs alone put AILD on the map with vengeance and fury and big giant headlining tours. Not to mention, Jordan Mancino was quickly becoming recognized as one of the best drummers in music. Two years later in 2007, An Ocean Between Us was even more impressive. Every song was well made, diverse and memorable. “Nothing Left” was grammy nominated and arguably “Forsaken” was one of the more well crafted metal songs of the time. Unstoppable and loaded with top talent, one would think they would be the band to bring alternative metalcore to the mainstream; nearly impossible for a band that screams almost every lyric. (Well, I suppose they were in the mainstream, making the cover of AP and Revolver, etc.). Continuing on with The Powerless Rise of 2010, it was more metallic goodness and deathly melodic heaviness. “Anodyne Sea” and “Parallels” were both amazing and this record as a whole is quite good and relevant; bringing new ideas to metal and pushing the envelope. When Awakened dropped in 2012 the band was in top form musically. Lyrically they were becoming more ambiguous – as to be expected – but some critics thought this was their best work. I personally am akin to their third album, but at this point no one cares because it seems within the last year that metal fans have grotesquely obsessed and despicably trolled over and upon anything involving AILD, other than their music. WTF?! Did I miss something? Did As I Lay Dying not make six of metal’s most progressive and influential albums of all time? Yes all of you expert trolling misogynist crazies who type tougher than you could ever verbally muster; I know what Lambesis did. I followed the whole story and read the amazing last interview with Lambesis before his deserved sentencing, conducted by the equally amazing Ryan J. Downey. Between the endless mean-spirited comments aimed towards Lambesis and Co., and the suspense filled legal drama of the case, the future of AILD was uncertain. And although we were coming to acceptable grips with the possibility of it actually dying, there is no way any true fan would be okay with the music of such quality dying with it. Now unless you live under a dirty sock pile and have no Wi-Fi, you will know that former AILD guitarists Nick Hipa, Phil Sgrosso, Josh Gilbert, and drummer Jordan Mancino have joined forces with the ever talented singer/guitarist Shane Blay of Oh, Sleeper to form the incredible Wovenwar! We get to continue to enjoy music made by some of modern metal’s most talented players, just in a different style; a welcomed change. 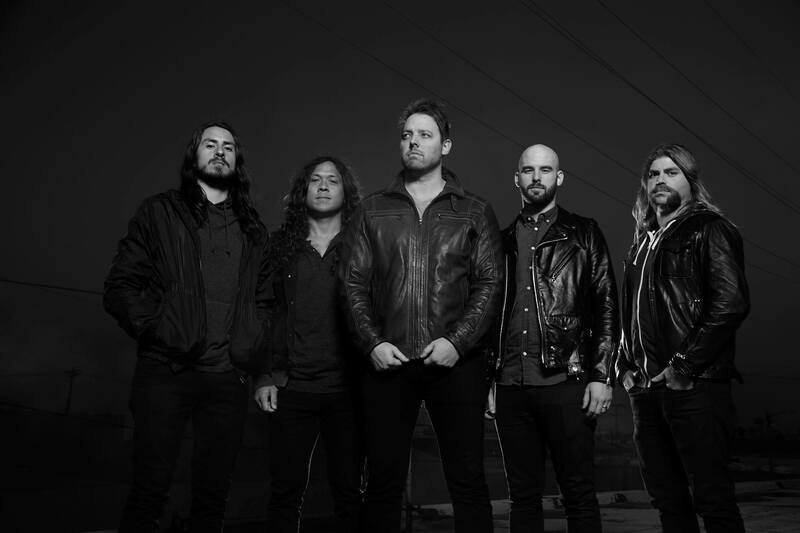 Although, Wovenwar would not be what it is (a powehouse of beautiful melody set against a crisp barrage of incredibly crafted metal music) without the former As I Lay Dying’s musicians. If you are a fan at all of heavier music that is somewhat unique compared to all the other thrash out there, do your ears a delicious favor and listen to Wovenwar! It is not the legacy of what Lambesis made, simply the even better continuation of what the incredible talents behind him helped create…outstanding music. Honestly, Wovenwar is an amazing band and although this writing doesn’t serve as a review I would give their debut a 5/5. When you soak in the utter deathy goodness of the heaviness that As I Lay Dying created for us – bleeding eardrums and vibrating hearts align – as a diehard metal fan you cannot let their music die with the dire headline in which real life attempted murder was the case. It made history in a whole different way other than what mediocre music can do, but I hope it is the music that is still remembered. When as it comes to the metal history that AILD made, let it live long. Keep collecting the vinyls, jamming the albums and thrash-headbang-rage to it in the years to come. As a band, they deserve that. Also, do not forget it was the actions of one man, not five, that brought their death as a band into a dark reality.